World Cup 2018 hosts Russia have unveiled the football tournament's offcial poster by artist Igor Gurovich amid the continuing fallout of the country's atheletics doping scandal. The Deputy Prime Minister lashed out at suggestions of performance-enhancing drugs in Russian football. Vitaly Mutko said: " I can tell you we're not afraid of anything. This is simply speculation, an attempt to fabricate stories...If this is how the Russian team play while doping, then what is our form like without? It's absolute nonsense." Russia didn't win a single game at the last World Cup and hasn't gone beyond the group stages of a tournament since 2008. The 1920s and 30s Soviet style poster features Russian legend Lev Yashin - the only goalkeeper to have won the highly prized Ballon d'Or. Nicknamed the Black Spider, Yashin played in four World Cups and saved more penalties than any other keeper in history. 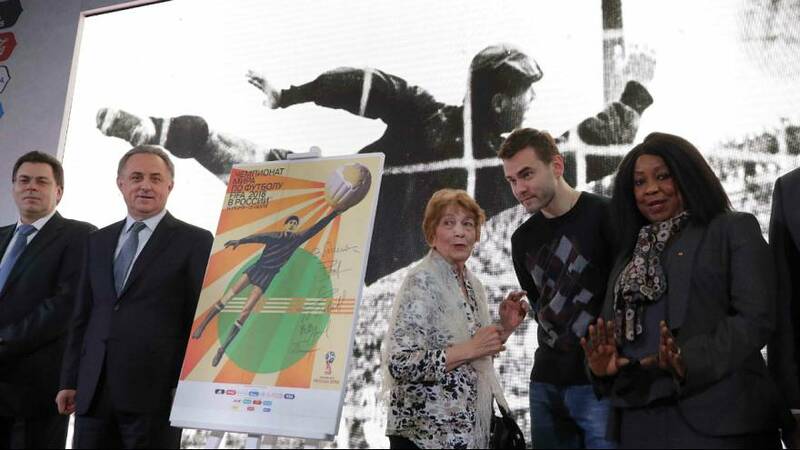 FIFA said the poster is a true representation of Russia's artistic and football heritage. The highly anticipated draw for the World Cup group stages is to take place in Moscow on Friday.